I don’t understand my taco addiction, and I don’t dare try to. I just accept it and roll with it. For those who are unaware, my taco addiction is pretty outta hand. 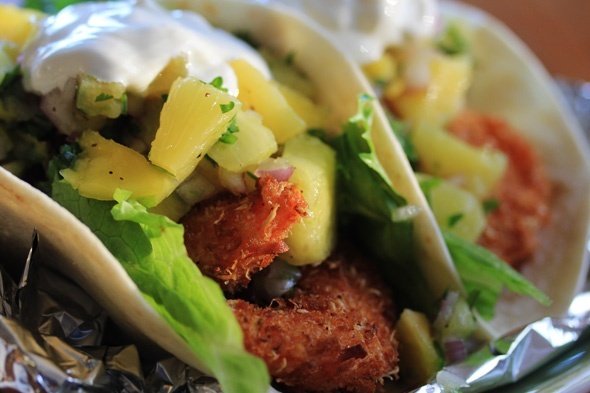 I will put anything — ANYTHING in a taco. 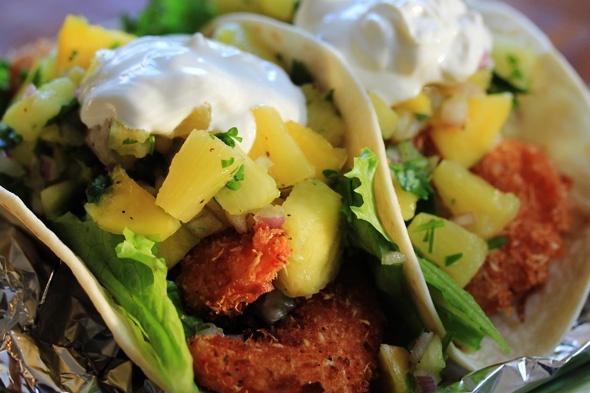 However, I’ll spare you the weird concoctions for now, and just bless you with some simple and delicious taco recipes that you can replicate in your own kitchen. I rarely buy the expensive shrimp, but I wanted to spoil myself this time around. I picked up a 16/21 pack of wild-caught jumbo shrimp, which basically just means there are 16 to 21 shrimp per pound. If you can, try to buy frozen shrimp at all times. 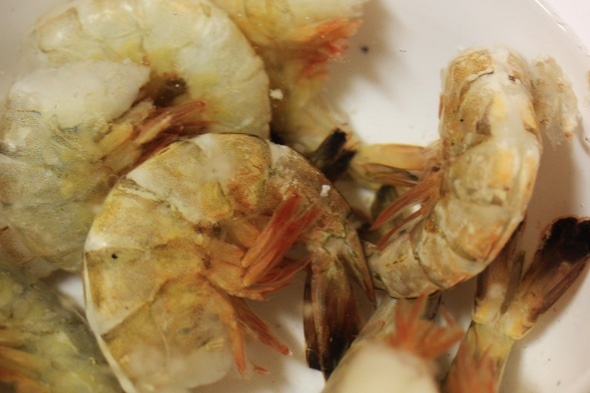 The “fresh” shrimp you see at your local grocery store is thawed shrimp that were previously frozen, and now folks are handling it and it’s laying around so it’s just not as good. 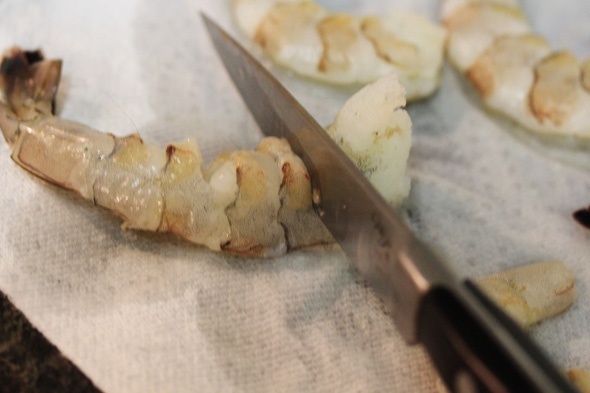 Besides, frozen shrimp — even with shells attached, only take about 20 minutes to defrost in a big bowl of cold water. Don’t try to speed up the thawing process by using warm or hot water to defrost them. No matter how frozen they are, using very cold water is still warm enough to thaw them safely. You don’t have to use the gigantic shrimp I’m using here, please feel free to buy the cheaper ones (I usually do), they’ll work just fine. 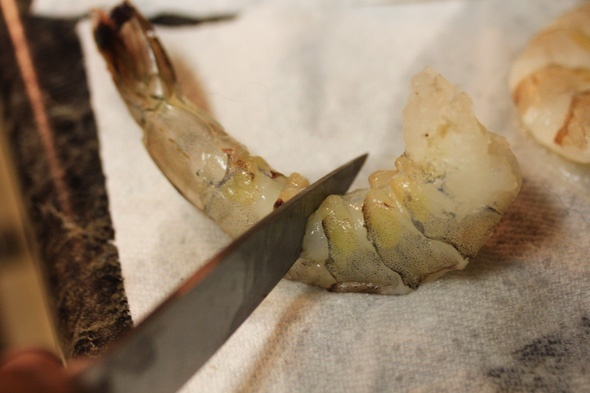 Just make sure you peel and de-vein your shrimp, because the digestive tract is still attached at most times (even if they say they’ve been de-veined on the bag), and nobody wants to eat that. 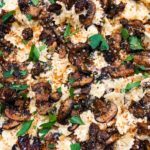 It’s literally the shrimps doo-doo tube — gross! To prevent the shrimp from curling up, turn the shrimp on its back, then make 2 small slits into the shrimp, about a half inch a part. Be careful not to go all the way thru the shrimp or they’ll fall apart. 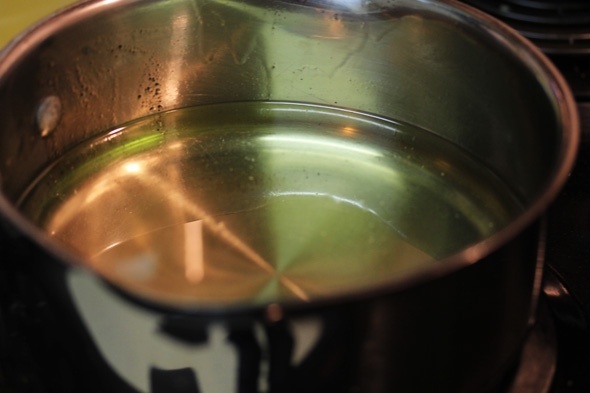 To test the heat of the oil without a thermometer, drop a few of the bread crumbs into the oil…if they burn immediately, your oil is way too hot. Turn the heat down and test it again in about 5 minutes. 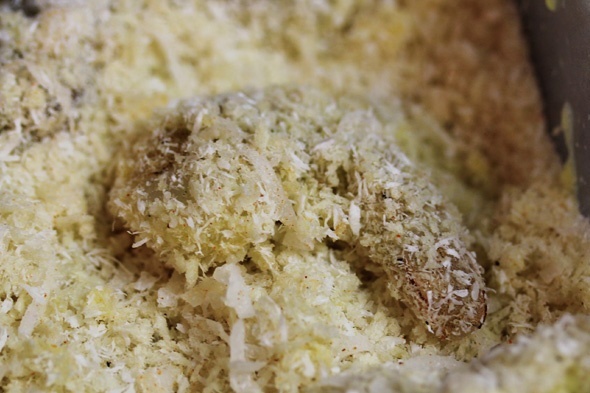 If the crumbs don’t fizzle at all, your oil isn’t hot enough. 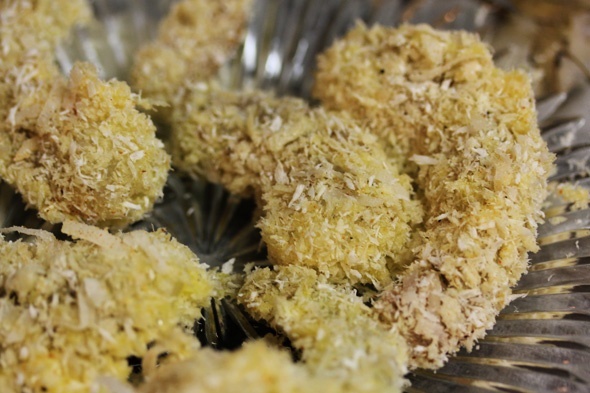 You want the crumbs to return a gentle fizzle and start to gradually brown when it hits the oil, then you know it’s ready. Fry the shrimp in batches of 5, for about 2 to 4 minutes. The smaller the shrimp, the faster they’ll cook. 1. Heat your oil to 375˚ degrees. 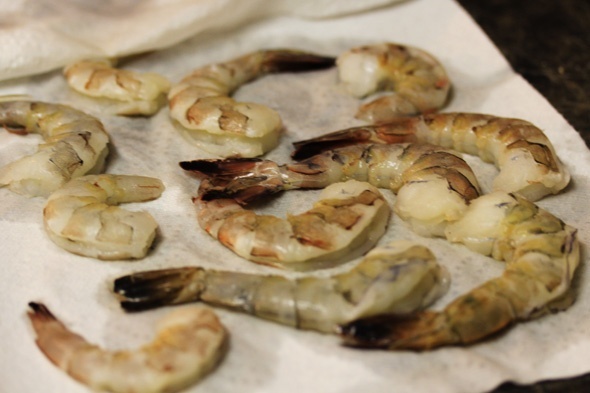 Place 2 small slits into each shrimp as illustrated above, to prevent your shrimp from curling up (optional). 4. 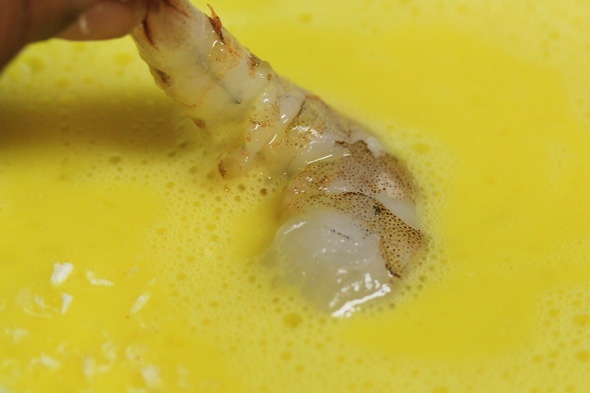 Take each shrimp, dip it into the egg mixture to coat it completely, then allow any excess to drip off. 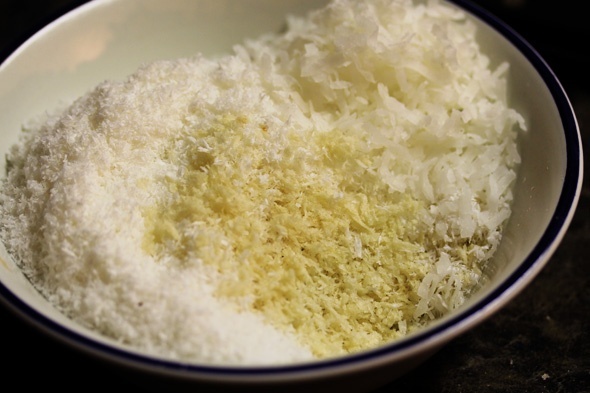 Toss the egg covered shrimp into the coconut and breadcrumb mixture to coat. 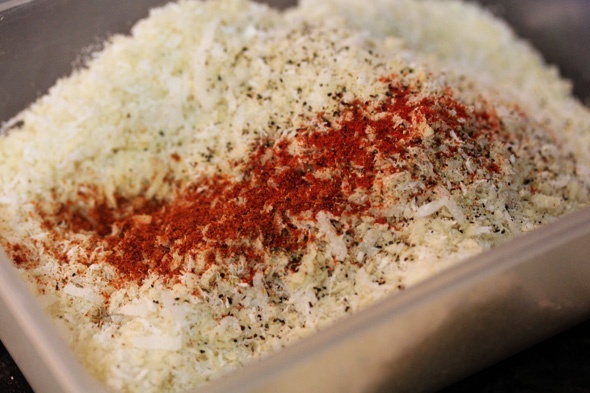 Press the mixture into the shrimp, gently so that it adheres. Set aside. 5. 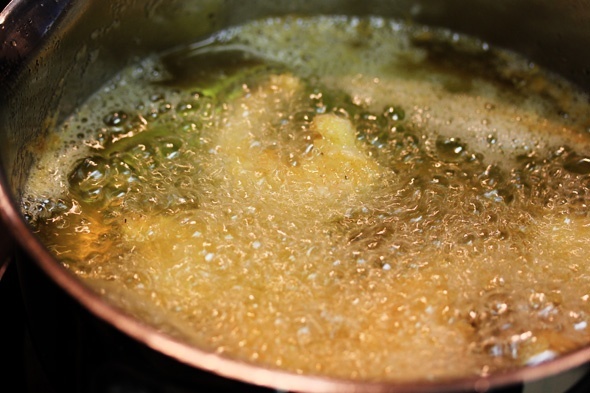 Once your oil has hit 375˚ degrees, fry up to 5 pieces at a time until golden brown, about 2 to 5 minutes. Remove from oil and drain on a paper towel. 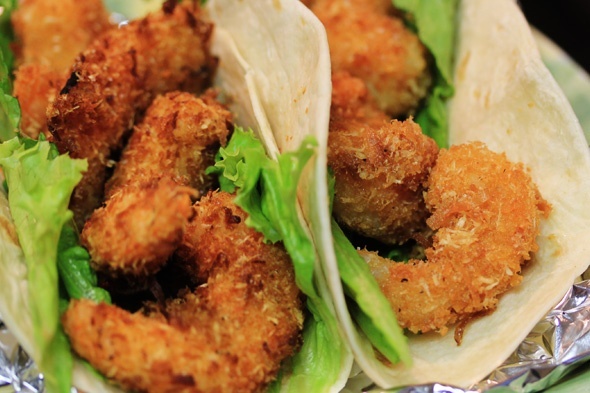 Sprinkle a little salt while the shrimp are still piping hot. 6. 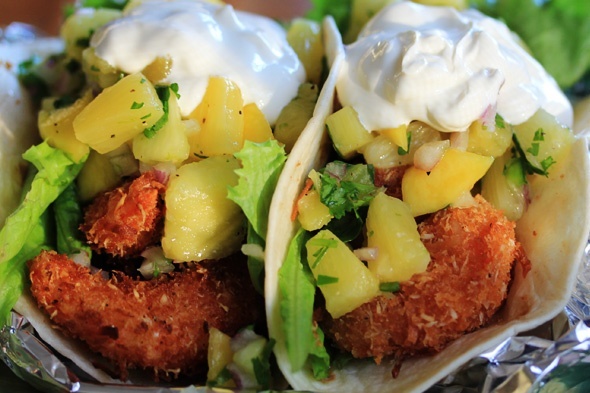 Assemble your tacos and top with yummy pineapple & mango salsa. Just finished making these and they were AMAZING! Me and my family thank you lol!! That was simply AMAZING! This is definitely a keeper! The salsa was INCREDIBLE!